*Wall Deco* [1NP’s] – Memories of Paris FREE! *Angel Chrimes* [LAQ Decor] – Angel Chimes FREE! *Blocks* [RE] – Merry Xmas Alphabet Blocks FREE! *Hair* [CATWA] – Selma NEW! *Sweater dress* [Bueno] – Ella-Sweater Dress Petal *@Kustom9* NEW! [Bad Seed] – Happy Holidays GIFT! 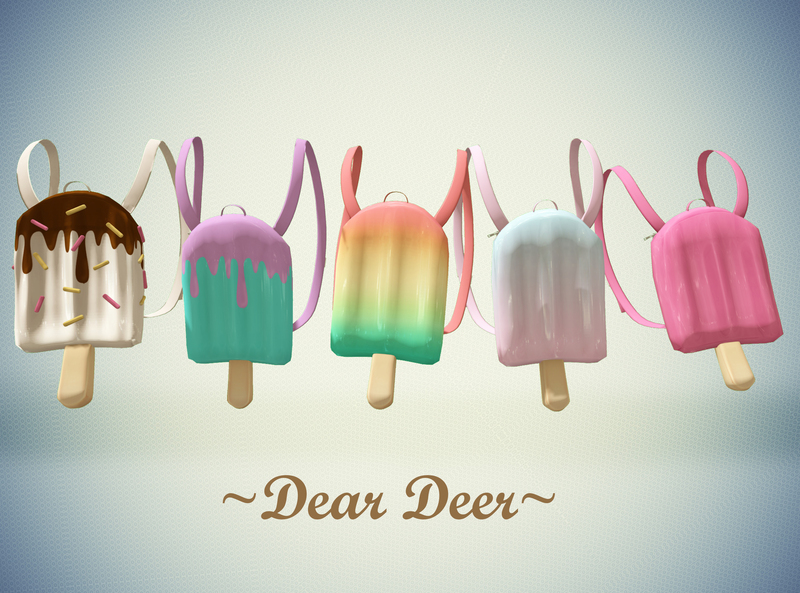 *Backpacks* [DearDeer] – Popsicle Backpacks *@Seven Silly Celebration* (Gacha) NEW! *Skin* [WoW Skins] – Jayma Darktan *@DESIGNER CIRCLE* NEW! *Skin* [WoW Skins] – Tilda Darktan NEW! *Eyes* [S0NG] – Yuki // Abyss Eye *@KUSTOM9* NEW! *Ears* [AITUI] – Ear System: Gen 4, Heart Plugs NEW! *Bag* [Zenith] – Babo Bear Bag Black *@KUSTOM9* NEW! *Skin* [New Faces] – Melanie *@KUSTOM9* NEW! *Hair* [TRUTH] – Bijou NEW! *Stocking* [SALLIE] – Neko Stocking FREE! *Boots* [REIGN] – PHOENIX BOOTS *@The Secret Affair* NEW! *Hair* [taketomi] – Yumi Bento *@KUSTOM9* NEW! *Outfit* [Fishy Strawberry] – Geek-Chic *@Geeks’n’Nerds* NEW! *Sweater* [Zenith] – High neck knit dress *@KUSTOM9* NEW! *Eyes* [S0NG] – Yuki // Dark Blue *@KUSTOM9* NEW! *Skirt* [Dear Deer] – Trinity Skirt NEW! *Ring Bracelet* [LUXE] – Dainty Ring Bracelet (Gacha) *@Sad November* NEW!